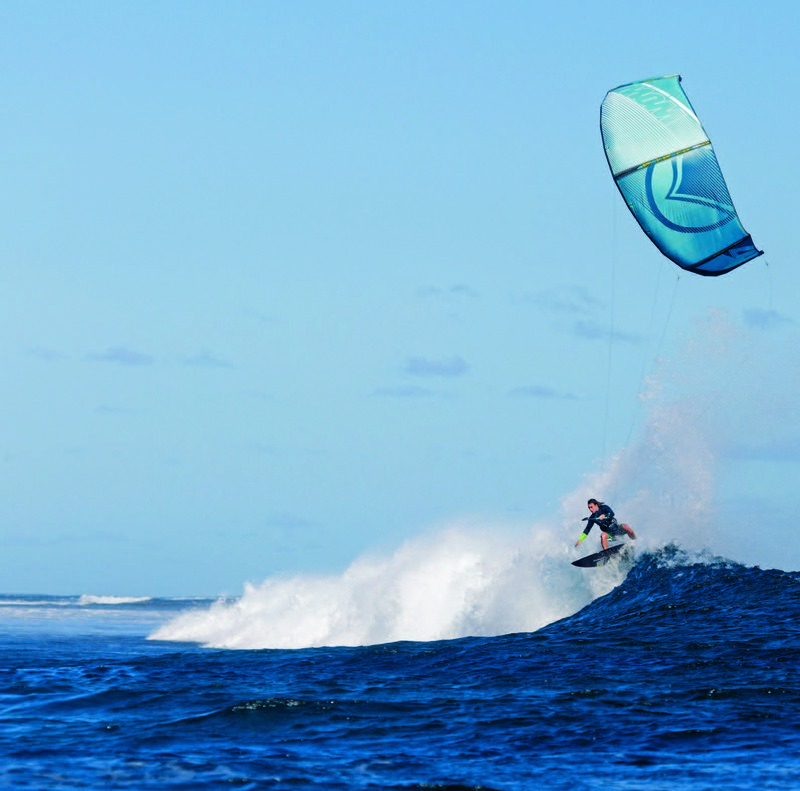 Kitesurfing in waves or freeriding with a directional board continues to be one of the fastest growing kite disciplines. This exciting discipline continues to evolve as the industry’s talented pro riders push the limits with increasingly technical strapless aerial manoeuvres and more fluid, top-to-bottom, wave riding styles. The refined and highly evolved performance of today’s top wave kites has helped push this evolution. 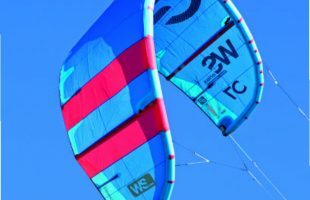 The increased popularity of wave kites is well deserved as their evolved performance has not only helped enable these top riders to reach new levels, but they also have key handling traits that are beneficial for a variety of conditions and riding disciplines, beyond just waves. Ultimately, wave kites are designed to have lots of complete depower, or the ability to turn off most of the kite’s pull. This is important when wave riding because you don’t want to get pulled off your board or out of the surfable section of the wave. 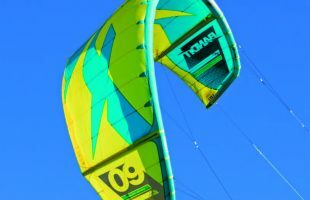 These kites also are designed to float and drift and not turn helmet down and lose flight as quickly as most freeride models. These are key features to have in a kite when riding down the face of breaking waves as the kite stays balanced and drifts. At the same time a wave kite also needs the ability to come alive at critical times. So these kites can initiate turns at lower levels of power and line tension, than most freeride kites. The Wave kite loops and turns differently than a lot of freeride or freestyle oriented kites. These wave kites typically have less aggressive forward pull and generate less power as the kite completes a loop. All of these features can be key components to improving your overall board riding skills as they allow you to focus more on what is going on under your feet rather than driving a kite that has more pull when it’s not wanted. Whether you are learning to ride a new freeride foil or advancing your carving and transitional gybes and tacks on a directional board, the right wave kite can be an essential element to pushing your game to new levels. In this round of head to head tests, the Kitesurfing Magazine test team caught some great sessions on the industry’s top wave models. Sessions were conducted in the waves, and on the flatwater, riding a host of the hottest new surfboard shapes and some of the latest freeride foils. There are some distinct differences in feel and function between these wave kites, but all of them have some similar key performance traits. All of these higher performance wave models have stable and balanced drift when underpowered, and they all transfer some excellent positional feedback from the kite lines and have quick and reliable water relaunch. 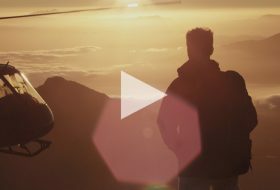 There are some differences when it comes to boosting and crossing over into more general freeride. If you are used to your freeride kite you will likely find that some of the wave designs sit further back in the wind window and some of them don’t boost airs quite as high or have the hang time of their freeride counterparts. Some of these designs have addressed this by adding bridle setting options that can change how forward or back the kite sits in the window. The forward setting gives a more freeride feel to the kite with better lift, lighter touch steering and even more depower. So there has never been a better time to fit a wave kite into your quiver. 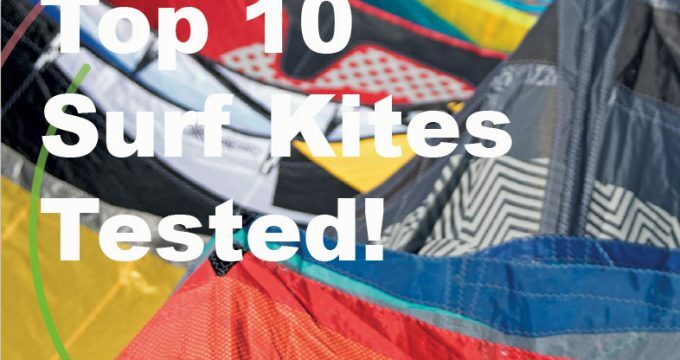 Anyone looking to up their game in the waves, or learn how to ride a directional board or foil, should consider one of these top performing wave kites. The Slingshot SST, the Ocean Rodeo Roam and Eleveight WS are all mid-aspect ratio, three-strut kites with very short and cut off wing tips. Their pull comes from more of a central position of the canopy which lets them sit back in the wind window and deliver some silky smooth pull. Having a kite that sits back can be beneficial when riding waves especially in side or side-off conditions where you can sit the kite and just let it drift as you get vertical on the face. If a kite sits too far forward in the window it can surge out of the sweet spot too quickly and lose its sweet spot unless rider input corrects it. All three of these kites sit back and drift beautifully and really let the rider concentrate on riding the wave or performing the manoeuvre. They also have a bit heavier, surf tough build and are designed with a thick leading edge which gives them effortless and quick water relaunch but reduces some efficiency in pointing upwind. For direct handling and smooth power delivery the SST also stands out from all the kites in the test and this kite really eliminates any on-off turbulence through gusts and the pull of the kite remains smooth and controllable. It sits the deepest in the window of any kite on the test and it delivers some of the smoothest pull and its turning can be initiated even when the kite has very low line tension. 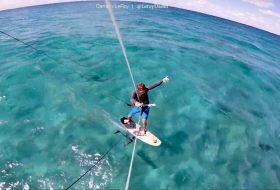 The Ocean Rodeo is also a smooth pulling kite; it has some of the most instant and complete depower of any of the kites in the test. Combine this with Ocean Rodeo’s Stick Shift bar which allows the rider to depower the kite with a simple click of the knob at the end of the bar, and this set up is ideal for pulling into a wave with the perfect amount of power. The Roam also has a very central pivot with very little pull through the turns and it also turns tight and quick. The Eleveight WS is also similar to both these with a bit more freeride handling as it has some decent boost as well. It has quicker pivots than both the Roam and the SST and solid depower of the Eleveight make it a gem in the waves. It has the edge for jumping and hang time over the other two in this sub category. The Roam and SST don’t have the biggest lift and are not bigger boosting kites of some of the designs in the test, but they don’t lose any feedback and respond well to rider input during boosts with the kite overhead. All three of these kites are well suited to foil board riding and learning the nuances of any directional discipline. Their ability to sit back in the window with lots of depower and their response to turn initiation at low levels of power and line tension make them ideal for the early planing ability of today’s top directional and foil designs. The Airush Wave and the Core Section are two similar designs that are well suited for intermediate to advanced level wave riders. They both have narrow leading edges and light weight and well balanced, three strut frame. They can float down the line and disappear but also come alive with fast and reactive turning and control. Their longer and more squared wingtips give them really quick and reactive pivots and great direct handling and feedback from the flying lines. They both have similar low end power levels that are true to their size and their range extends well into the upper end. The Airush Wave has some of the quickest loops and handling on the test and its shows the refinement inherent to a generationally mature design. The Core Section may have a bit more power in its delivery than the Airush Wave but both these kites are quick and responsive. The Core has some of the best direct feedback from the lines which really lets the rider know where the kite is and it can react with precision when it needs to. It also features adjustable bridles and back lines settings to tune the kite to the desired depower and line tension. Core’s Sensor2 bar also enhances the wave riding experience. It’s one of the lightest weight and low profile bars on the market and its comfort and feel really let the rider focus that much more on making the most out of every wave. The Wave has slightly more boost and glide than the Section but both run shy of a freeride kite. This moderate controlled lift can pass to freeride jumping, but their performance is really geared towards advanced wave riders that want fast pivoting and fast reacting kites to tackle serious wave sessions. The Naish Slash and Liquid Force Wow are two wave kites that both have amazing drift and balance in the waves, and are similar shapes with narrow leading edges and three strut frames. They sit more forward in the wind window and have lots of depower and crisp and direct handling. The Wow has one of the skinniest leading edges as well, and has fast and tight pivots. The Wow also gets extra freeride marks for its jumping ability. This kite also has some of the best hang time and jumping ability of any of the wave kites in the test. In the waves the Wow is stable and balanced and you can set it and it will disappear on the wave for you and when you need it, it comes alive. The Slash shows refinement in its second generation design and still offers the similar smooth and controlled power through its turn. It’s not as quick and aggressive as the Section or the Airush wave style kites, but it has smoother power delivery and the right pull and control through the turn that let the rider flow down the line. The lift and jumping and hang time as well as the upwind ability have been improved on this year’s Slash with its faster pulling and narrow leading edge. This kite also has great feedback and controlled lift for punting strapless airs. Both the Slash and the Wow worked well for foiling with their stable drift and great response at low line tension. Both the Slash and the Wow will excel in waves and have ideal handling for any strapless or directional discipline. The two most refined wave kites in the test go to the North Neo and the Cabrinha Drifter. Both these kite designs have undergone several generations of evolution and it’s reflected in their refined power delivery and handling. The new Drifter has great low end power, that’s just shy of the Neo, size for size. The Drifter continues to be one of the best drifting kites down the line with great balance and less tendency to curl helmet down when the power comes off the lines. It’s not quite as quick and nimble or tight pivoting as some of the other kites in the group but its smooth control and pull through its pivot keeps the Drifter at the top of the leaderboard. The Drifter is also more versatile this year with bridle settings for freeride and onshore wave riding or traditional wave settings. It doesn’t boost big but it at has the better lift and drift than its previous versions. The Neo is a powerhouse that has amazing amounts of low end power but also upper handling that keeps it at the top of its game. 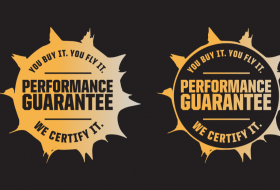 Great range, amazing stability and float combine with crisp and efficient handling. The Neo has highly refined performance with tight and quick loops and nicely controlled power. It can also change up bridle settings to make it a better jumping kite and equips the Neo to almost any freeride application. It’s not quite as floaty and ghostlike on the wave as the Drifter but it’s a close second. The new Click Bar from North also adds to the Neo’s wave set up. The Click bar comes with a premium price but also adds premium performance to the wide wind range of the Neo. With depower at the click of a button you can depower the Neo as you pull into the waves with unprecedented levels of ease and fluid movement. 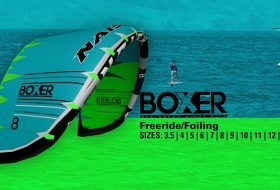 Both the Drifter and the Neo are dynamite wave kites that will also be ideal for anyone wanting to advance skills into foil boarding or any directional discipline. Their power, range and handling, drift capability and overall performance make theme great wave kites or just great kites in general. 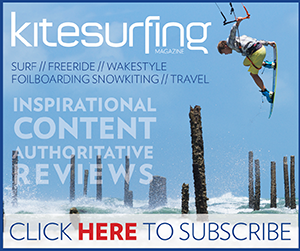 Check out the individual 2018 Surf Kite Reviews. 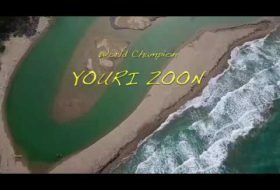 Originally published in the Spring 2018 issue #9 of Kitesurfing Magazine.